Written on January 8, 2019 . The Diamond Guide, learn all about the quality of your diamond with this interactive guide. It will help you select the perfect diamond for your custom engagement ring. Refers to the presence of inclusions in a diamond. Inclusions are natural identifying characteristics such as minerals or fractures, that appear while diamonds are being formed. They may look like tiny crystals, pinpoints, clouds or feathers. The position of inclusions can greatly affect the value of a diamond. Some inclusions can be hidden in the mounting, thus having little effect on the beauty of a diamond. 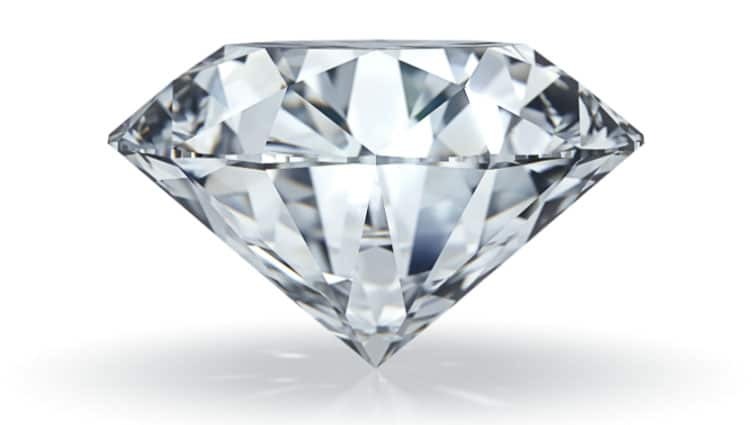 An inclusion in the middle or top of a diamond could impact the dispersion of light, making the diamond less brilliant. Inclusions are ranked on a scale of perfection known as the clarity scale. The scale ranges from F (Flawless) to I (Included) and is based on the visibility of inclusions at 0X magnification. Carat is not a measure of a diamond’s size, but rather a measure of a diamond’s weight. One carat equal 100 points. A .75 carat diamond is the same as 75 points or 3/4 carat diamond. Therefore, a 1-carat diamond will cost more than twice a 1/2 carat diamond, assuming other characteristics are similar. The most important thing to remember when it comes to a diamond’s carat weight is that it is not the only factor that determines a diamond’s value. The diagram to the right shows the size of various carat weights of a diamond in relation to each other.